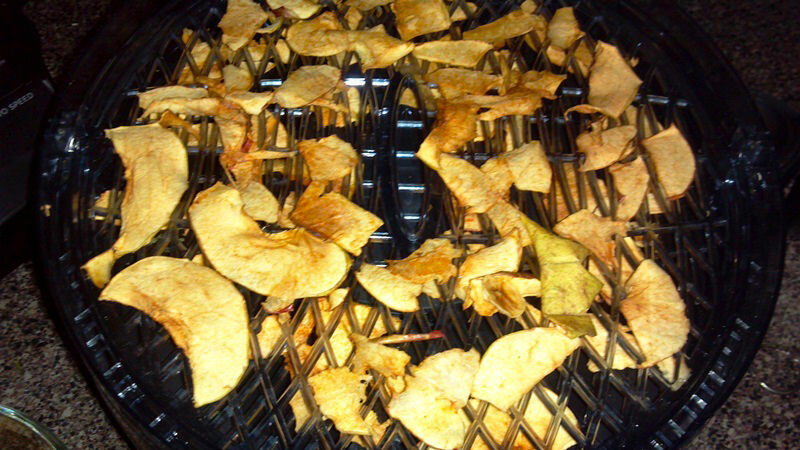 Apple chips take less time to dehydrate because they have less moisture, and less dense texture. They come out fantabulously cripsy and taste sooo good! Cut about 2 to 3 apples, remove the core (apple seeds are not good for you!) and slice into thin pieces. I like to cut the apple in quarters, then slice the quarter into thinner pieces. Line the apples on the dehydrating sheets, making sure none of them overlap the other. Set your dehydrator on medium, then wait…and wait…and wait…for about 8 hours or so. 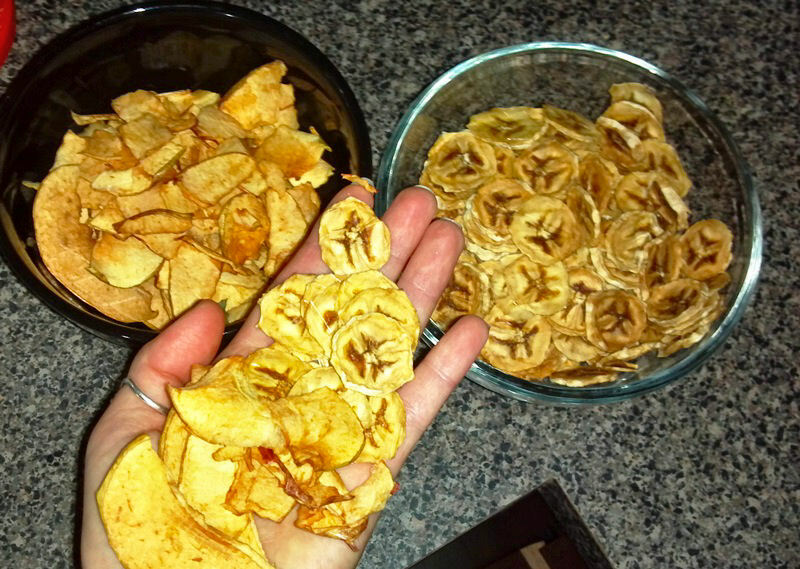 Apple chips are done when they are crispy, devoid of moisture, and do not bend. If they still feel rubbery or leathery in any way, then they are not done! Once finished, eat at once, or store in zip lock or airtight bags. 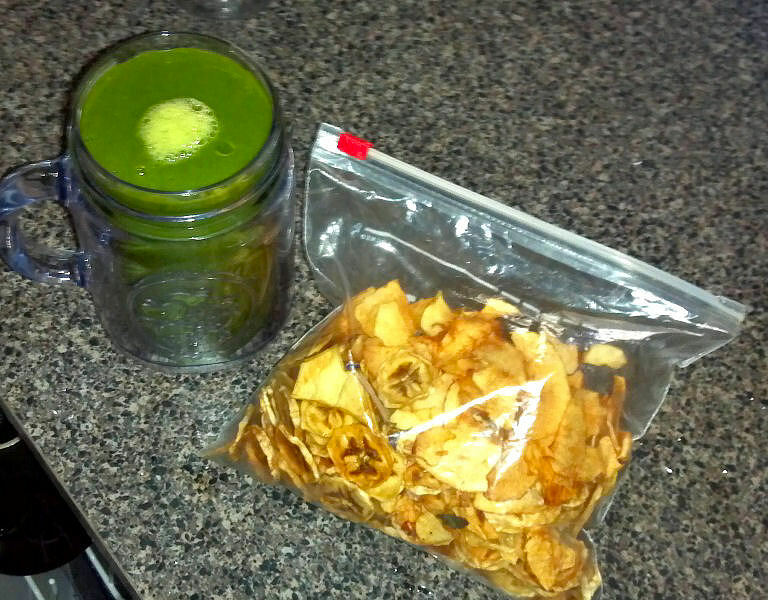 I like to eat mine with a mixture of other banana chips and a green smoothie, as picture below. Snack perfection!